Jesus Christ is speaking to His disciples about the near future. He is giving them both good news and bade news. First, He would go away, but secondly a comforter would come on the scene. In the end, both things would profit a man forevermore. Certainly, you and I can read this scripture account and understand right away who The Comforter is. Jesus Christ had to physically die on the cross at Calvary to open the door for His Spirit to come and dwell on this earth inside the hearts of spiritually quickened men. However, the disciples had no idea what or who Jesus Christ was speaking about. 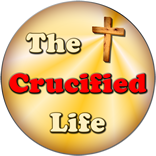 We have the spiritual advantage of reading this divine biblical account from the backside of the cross. 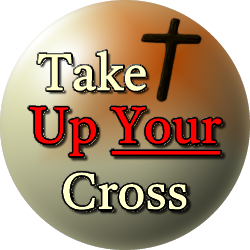 The disciples were looking to the cross at Calvary to come soon. We can garner a more complete understanding of the work of Jesus Christ on Calvary and observe the profit of His Spirit at work in this world today. Today the work of Jesus Christ is done and finished. It stands as a testament of His willingness to observe and obey the will of God the Father. Because He willingly followed the will of God in His life, through application of faith, we can enjoy unmerited favor and grace of God forevermore. Yes, Jesus Christ gave His disciples spiritual good news just before His coming sacrificial death on the cross at Calvary. The bad news is not so bad in light of His finished work on Calvary as the spiritual profits are both perfect and perpetual.